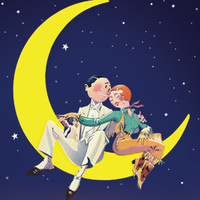 All ACCESS Alumni are invited to join us for a great discounted package on tickets to the upcoming Pennsylvania Shakespeare Festival show Crazy For You on Thursday, June 13, 2019. Before the show, we will host a cocktail reception in the DeSales University Center from 6:30-7:30 p.m. for you and your guests. Showtime is 8 p.m. Seating is limited and the show is sure to be a hit and sell out quickly, so purchase your tickets today! Alumni group rate is $32 per person. Tickets will be available for pick-up at the reception before the start of the show, or at the Will Call table if you are unable to attend the reception.